In this episode, we depart from our usual path in discussing the stories of women who’ve been saints before us… and we talk about St Joseph — since today is his feast day — plus we discuss the role of the archangels in our “Blessed Are They” segment. 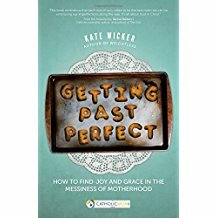 I’m also delighted to be talking with Kate Wicker in a lively discussion centered on her new book: Getting Past Perfect: How to find joy and grace in the messiness of motherhood. This is pure encouragement for moms! 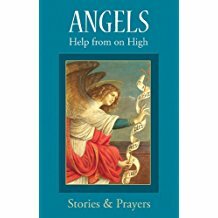 Angels, Help from On High – Sr Marianne Lorraine Trouve, used with permission. Send your comments to Pat Gohn at amongwomenpodcast@me.com, or to the Among Women podcast facebook page. Or follow Pat on Twitter at @PatGohn or @among_women. If you like what we do here at Among Women, please promote this podcast in your social media circles, in your church bulletin, or leave a positive review and rating over on our iTunes page.